The Allahabad High Court, on March 25, 2019, ordered that a mall in an upscale neighbourhood of Kanpur be demolished as it was built over a park after felling hundreds of trees. The HC directed that the land be restored as a park, as originally envisaged. The order comes 17 years after a petition was filed against construction of the Rave 3 mall. The Kanpur Development Authority (KDA) has been asked carry out the demolition. Spread over five acres of land, the park was a Nazul land — or land situated beyond two miles of the municipal limits, which has been escheated to the state government but has not already been appropriated for any purpose. It is also close to Bhairon Ghat cremation ground, located on the banks of the Ganga. The Burning Ghat committee looks after the facilities at the cremation ground. Exactly a century ago, the committee was asked by the municipal authorities to keep the area adjoining the cremation ground clean. “The committee planted some saplings on a plot of land that is mentioned as plot number 11 in official records, and it gradually became leafy and wooded as years passed. Most of the plants had medicinal values or were aromatic,” says Robby Sharma, the activist who had petitioned against construction of the mall. In 1930, the then United Provinces government leased the land, for a period of 90 years, to an ayurvedic school in Kanpur. “The Ayurvedic School then did not have a building of its own. It kept shifting from place to place. It was expected that a school building would be constructed on a portion of the park but it never happened,” said Sharma. “The only construction in the park was a platform on which students would sit cross-legged during their classes on their visits,” he added. Sharma has access to all the records about the park since 1943. “In all the records, it has been mentioned as an ayurvedic garden,” he said. As years passed, the area around the park became one of the most upmarket neighbourhoods of Kanpur. The road that the park overlooked is now called VIP Road. According to Sharma, Kanpur’s Master Plan came into force in 1971 and it was valid till November 16, 2006. “Plot number 11 was mentioned as a park in the master plan,” said Sharma. In the middle of the 1980s, the ayurvedic school’s recognition was cancelled and KDA became the owner of the park. Simultaneously, as was happening in other cities, in Kanpur as well the “mall culture” came just before the turn of the century. “Realtors started eyeing plots of land on which malls or high-rise residential apartments could be constructed. It was in 1999 that KDA mooted the idea that the ayurvedic garden be converted to Kanpur Haat, on the lines of Delhi Haat. KDA officers, no doubt, were conniving with some realtors. Files started moving between Kanpur and Lucknow,” claimed Sharma. Sharma says the KDA, in its proposals, never revealed to the Uttar Pradesh (UP) government, headed at that time by Kalyan Singh, that the plot of land had been mentioned as a park in the 1971 Master Plan of Kanpur. “Pollution is a big problem in Kanpur. Trees are a must for the city to contain pollution. In this backdrop, how did the KDA think of chopping hundreds of tress to make way for Kanpur Haat or a mall?” asks Sharma. The Kanpur Haat project did not materialise. Even the Union Ministry of Handicraft rejected the proposal. 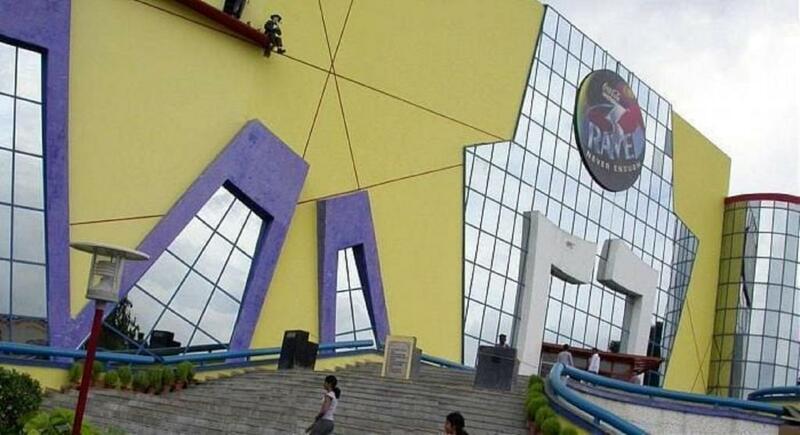 The KDA then proposed to the UP government that it would construct the “first mall of Uttar Pradesh” on the park. Sharma claims that a company named Rave Entertainment Private Limited came into being on May 6, 1999. The first directors of the company were Vikram Kothari and Mahendra Mohan Gupta. The park was handed over to the company in February 2000. “This, despite the fact that the company did not have any experience in buildings malls,” added Sharma. He then approached the HC over the issue. “Things became a bit easier for me as the Right to Information (RTI) became a law. I was able to access old records as well as the official letters,” he said. “Moreover, a message must go to the society that persons who indulge in illegal activities of building constructions for their personal monetary gain and succeed in achieving their evil design with the aid of corrupt means and practices, even going to the extent of purchasing legality for covering their wholly illegal act, as in the present case, shall not be spared and would be dealt with severely; their illegal structure may be demolished at any stage whenever it comes to the notice of Court or for that matter, any other Competent Authority take cognizance of such violation,” the court observed. “Thus, our unhesitant decision is that allotment of land in dispute for development of a commercial complex ie, Multiplex Recreation Centre, in violation of the then existing Master Plan of 1970 and 1999 wherein disputed land was shown as ‘Ayurvedic Garden’, was patently illegal. We hold that entire constructions raised thereon and functioning of multiplex complex on disputed land wholly illegal and amounts to flagrant violation of law,” it noted further. “The court order came on March 25, 2019. A week has passed since, but the KDA is yet to carry out the demolition. That shows how government agencies work,” said Sharma.